Patina is popular these days, but the kind of dead silver paint, road rash and random rattle-can primer that came on our $2,200 Camaro was just plain ugly. Still, our 1978 Camaro is a project car, and the beginning of a project is no time to invest in an expensive paint job. We originally thought about simply wiping down the body, spray bombing it in primer and hoping for the best. The problem with primer for paint, however, is it isn't UV resistant and it starts turning chalky within a few months. Instead, we found Eastwood's single stage paint to be the perfect compromise between high quality and low cost. Eastwood's flat black comes in a kit--either in quart or gallon size--which includes both the paint and activator. It is UV resistant, 50-state compliant and does a good job covering minor flaws in the bodywork. 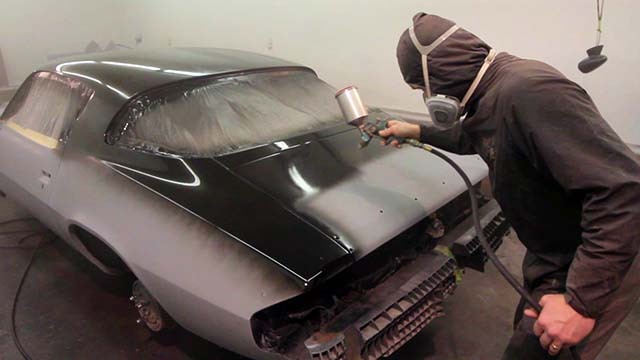 Two coats provided ample coverage for the entire Camaro--including the underside of the hood and trunk, door jambs, wheel wells and inner fenders--and we ended up using approximately one-and-a-half gallons. Among several color options, Eastwood offers two different versions of its flat black. We chose the Rat Rod Satin Flat Black one gallon kit (pn 21857ZP) but if you want zero shine they also have what they call the Dead Rat Flat Black kit (pn 51075ZP for the gallon). You save money because you don't have to spend money on clear coat, plus clear coat is also the most difficult part of the paint job to learn to do well. You can see the final product in the shot above, and we think it looks fantastic. The great thing is the paint job not only looks great, but because it's a single stage paint, touchups will be much simpler if any body panels get damaged during the buildup (and they most likely will). So hopefully, the old Camaro will remain halfway decent looking throughout the builup. Afterward, we'll decide if we want to stick with the flat black or go with another color, but there's no doubt we'll be sticking with Eastwood after the good experience we had the first time around. Of course, there's more to a good paint job than simply spraying on the top coat. 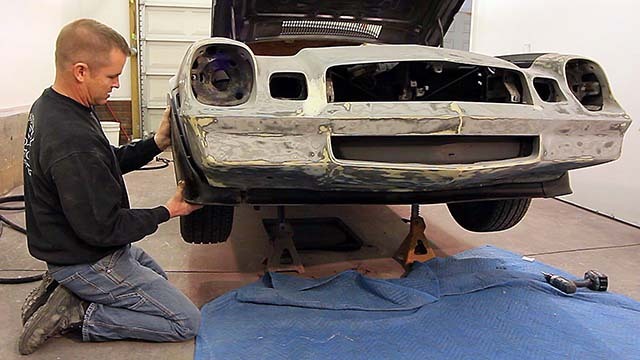 In the video we show you the process that we took with the Camaro, from soda blasting the old paint to re-installing trim pieces. 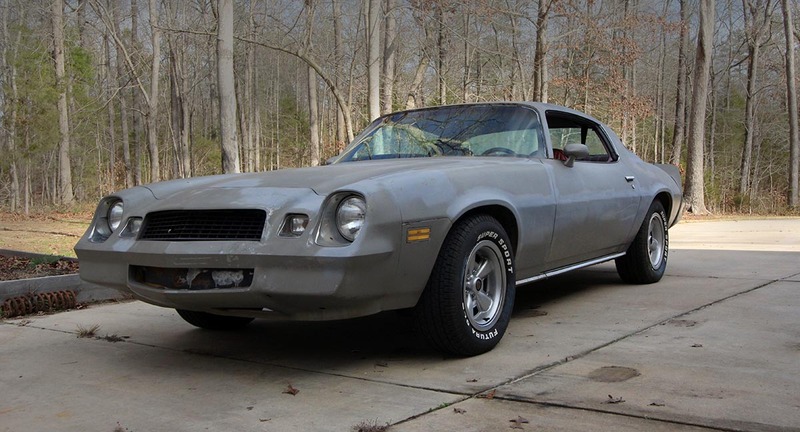 The car always had a nose-high look, so to help with that we also installed a Z28 chin spoiler from Classic Industries. The three-piece spoiler installed just like it should, makes the front of the car look more agressive and even helps improve the proportions. We couldn't find any documentation that the chin spoiler showed up before the 1979 model, but we're not making any apologies for putting it on the '78. It's obvious we aren't trying to stay period correct anyway. So check out our progress on the project Camaro in the video up top. I'll never claim to be a painting expert, so you will see the value of having friends with skills you can call on. And not all of it was pretty--or even perfect--but getting this Camaro into its new black suit sure was a lot of fun.